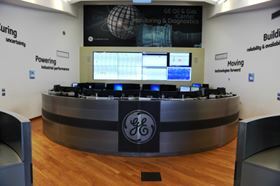 The GE Oil & Gas iCenter in Florence, Italy. This will be the first remote centrifugal pump monitoring to be applied at these facilities, optimizing machine performance with analytics. The 24/7 system will collect and transfer data from CLH sites to the GE Oil & Gas Monitoring and Diagnostics Center which will continuously analyze the pumps’ performance, identify anomalies and provide advisory services and recommendations to optimize operations. This will enable GE Oil & Gas to monitor and verify pump functionality and proactively identify potential issues to reduce failures and to increase machine availability for CLH. As the original equipment manufacturer, GE can apply its knowledge and expertise to the data acquired to plan effective maintenance and minimize equipment downtime. “This project will introduce our OEM expertise and analytics into the operations of CLH Group’s plants, by providing them with remote monitoring and diagnostics to keep their pumping systems running better and longer. We believe these kinds of arrangements can really help customers like CLH realize better value in their processes and we look forward to getting the system running and starting to see results in the coming months,” said Roberto Baccani, general manager of GE Oil & Gas’s Pumps, Valves and Systems (PVS) business.